This is just "two" cute for words! 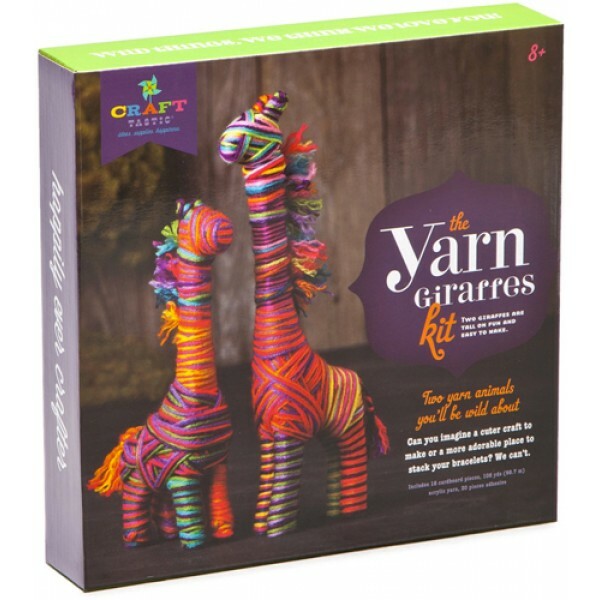 With this set you'll make two yarn-wrapped giraffes. 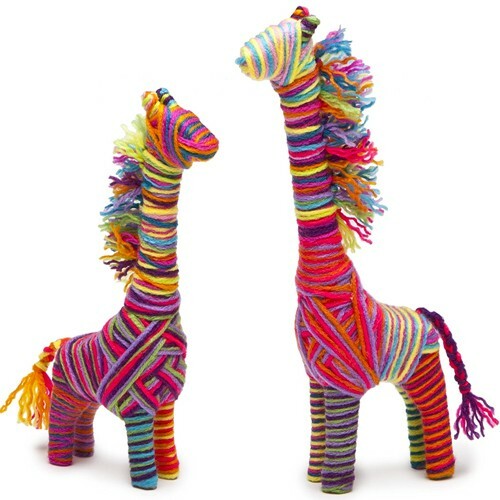 Not only are they adorable, their long sleek necks are just the cutest place ever to stack your bracelets. 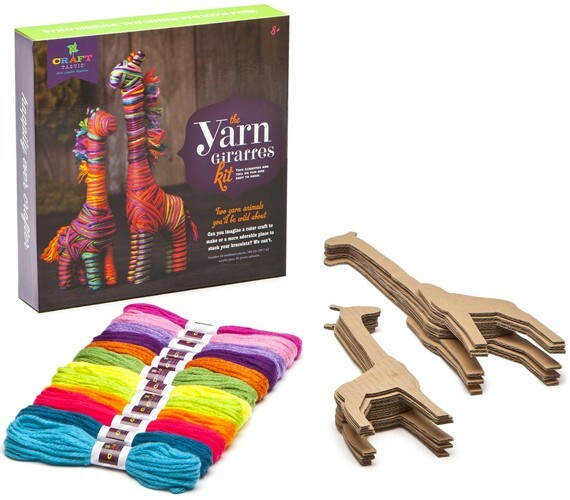 You just stick the cardboard pieces together to make a 12.75" tall and a 9.75" tall giraffe, and then wrap, wrap, wrap away with our happy and colorful yarn. 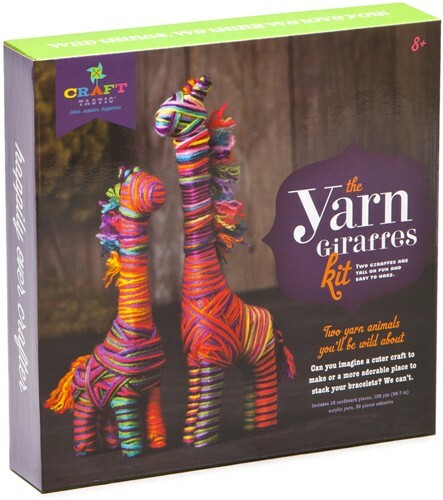 This set comes with two cardboard giraffes and twelve colors of yarn to use to create the look that suits you perfectly.